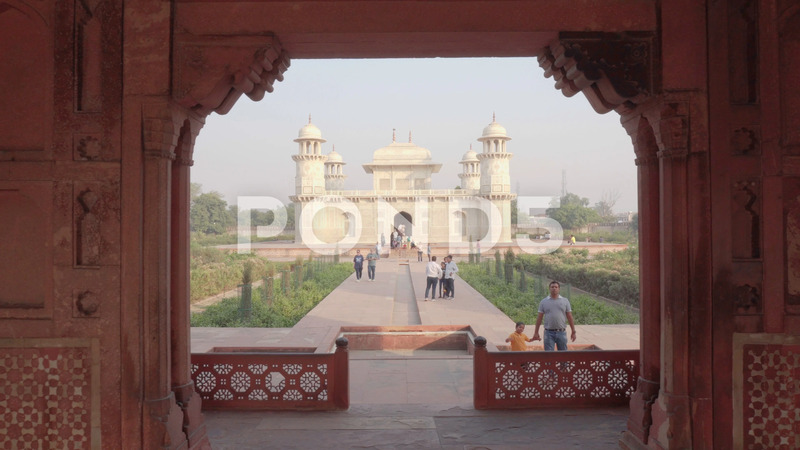 Description: Agra, India - 10 November, 2018: Amazing view of the Tomb of Itimad-ud-Daulah (Baby Taj) through red sandstone gate. The white marble mausoleum is visible on blue sky background. Mughal architecture.